Percentages, grams, carbs, fat, proteins, calories, etc.… are all the talk for me these days. Give or take two years, eating clean is my lifestyle. My clean eating journey started after I read, Tosca Reno’s, The Eat Clean Diet. The book was a game changer for me. While I always ate my daily share of fruits and vegetables, occasionally I indulged in my favorites. Favorites that I wouldn’t think to sink my teeth into now—Butterscotch krimpets, any apple pie, and McDonald’s French fries! Yuck!! Nothing but processed junk! Knowledge is power– I know—clichés in writing is a no, no, but it’s true. Having a solid knowledge base and understanding of how gobbledygook affect the body’s performance gave me the power and ease to stop polluting my mind and my body. Guilt free and without the tug-a-war of craving this or that is a thing of the past. Yay!! My point is bringing a history of clean eating into the mix of figure competing is a blessing. I don’t feel like I’m starting from ground zero. I have a solid nutrition foundation established, so I can focus on tweaking my diet to perfection. What’s slightly overwhelming for me? Keeping track of what I eat, making sure that I am consuming the correct amount of calories, protein, healthy fats, carbs, and other nutrients. I’m keeping a food journal and, to more accurately track my calories, I found the mobile app. 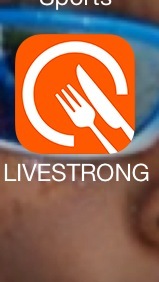 LIVESTRONG. The app was free (I don’t pay for mobile apps), seems relatively simple, and I can access/update my information from any of my mobile devices or from any computer. In a short amount of time, I added everything I ate today (2410 Calories). To help me keep track of my calories, I’ll be using my new best friends! 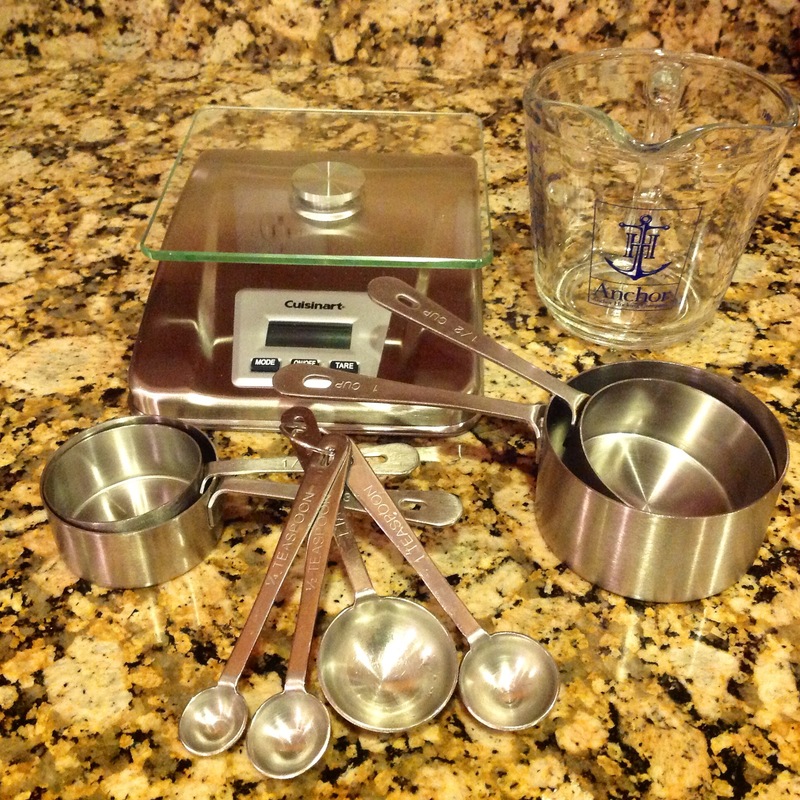 A scale, measuring cups, and spoons. For the first time, when I packed my meals for the next day, I measured everything! It took me a little longer, but I will get use to it. After work yesterday I did biceps and triceps. By dinnertime, I sat at the table quietly wondering how my arms would function while preparing my hair for bed. Lol!! I managed. I rested my body today, but will work very hard at the gym tomorrow. Hopefully soon, I’ll have pics or videos of me sweating it out at the gym. When I enter the gym, it’s all business! Tomorrow is another day that I move one step closer to going all the way. This entry was posted in Fitness, Healthy Eating, Inspiration and tagged calories, Eat Clean Diet, figure competing, Fitness, Fitness and figure competition, fitness motivation, fruits and vegetables, game changer, measuring tools, track calories, Tusca Reno. Bookmark the permalink.